This dining table set by Coaster Furniture will add a touch of luxury to your dining room. 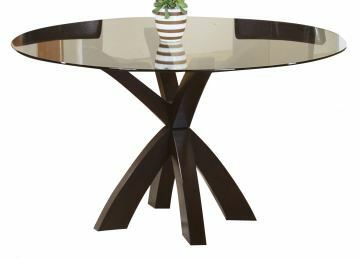 The contemporary table features a round beveled glass top and a unique cappuccino finished pedestal wood base. Pair with the matching chairs for a look of style and grace in your dining area.